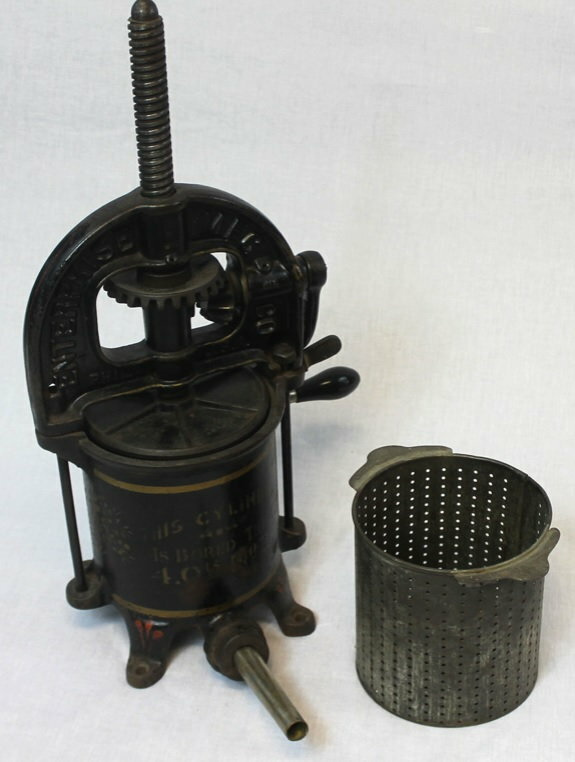 Meat grinder for Valentine's day. Well, was hoping for new fishing reel, but was gifted a meat grinder for Valentine's day. Once I quit laughing, she sure didn't like my response when I said, "alright, a new chum churn". So before I start mashing mullet, I guess I'll have to grind some meat first. Any recommendations as to what cuts of meat work best to grind for burgers? Is it best to add beef or pork fat to mixture? If I do well, will be eventually stuffing casings for dried sausage. Any suggestions for a novice? With the "meat grinder" title, I was not sure where this thread was headed. Pictures or it didn't happ.... Oh nevermind. What he said. Chuck roast for burgers. Many people use straight chuck. A decent chuck roast will yield somewhere close to the 80/20 mark. If you just want to try it out, I would suggest that. Pork butts work really good for sausage. Make some patties, and you won't need any specialty equipment for stuffing. If you decide you like grinding, I would buy a brisket and make ground beef. It will be less expensive than buying chuck, and has a good flavor. Trim off the hard fat and grind it first. Then add that fat back in as you grind the red meat...that way the hard fat bits get ground twice. For burgers I normally get Denver steak. Slice the strips in half and add a half strip of bacon to it. Add seasoning, grind and patty. Chuck roasts go on sale at Food Lion for less than $4 per pound. I keep many of them in the freezer and use it for hamburgers. Make sure the beef is chilled before grinding. I only grind it once and now I enjoy eating a rare hamburger because I know what is in the ground meat. 50/50 bacon and a lean cut of beef.... its so good! I just recently picked up an attachment for our home mixer that grinds and stuffs. Last weekend we had a family sausage day. There are a zillion recipes on the web from virtually every nationality. We had a fun afternoon grinding a pork shoulder and chicken breasts. It was a lot of fun right down to stuffing the cases. It all came out amazing the first try and we are getting ready to do it again. We still have the original smoke house on our family farm. There is a shelter off the side called the "wash shelter". It was where my grandmother did weekly laundry before there was indoor plumbing. There was a wash pot- black iron pot that a fire was built under, the scrub board in a tub and a hand cranked ringer. 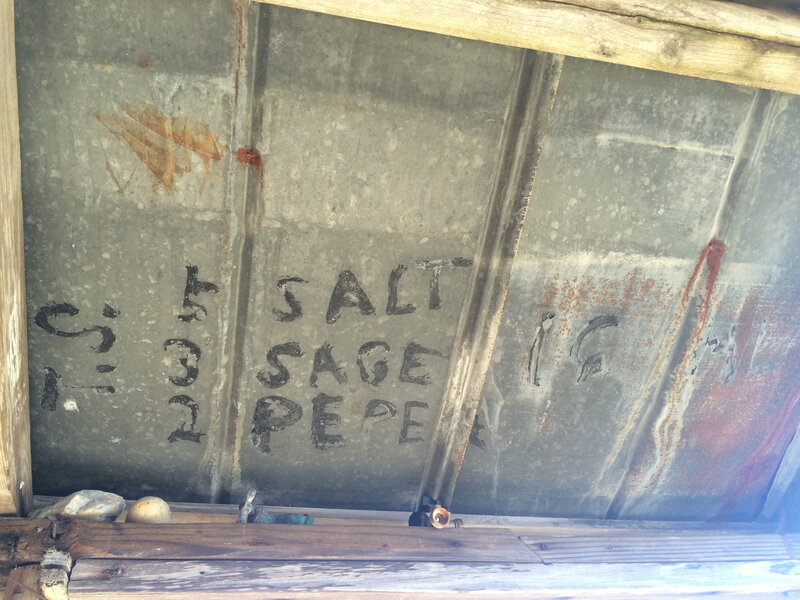 On the underside of the tin roof, my grandfather painted his sausage seasoning recipe in black paint. This was to 16 pounds of meat. Cbyte and verdenc like this. That is super cool. Thanks for sharing. For breakfast sausage many slaughter houses/abattoir will sell "sausage cuts" - basically the trimmings as they make the pretty cuts off everything else. Ends up being a whole lot cheaper than buying the cuts themselves. I want to say we paid on the line of 1.50 or so a pound when we made sausage back in December, and we get it in 40lb boxes. Venison sausage definitely add in some pork fat or beef suet to hold some moisture and give some fat to the pan to keep from sticking. We made a batch (40lbs) and added a handle of bourbon to it and it is absolutely MONEY. Lots of other fun sausage recipes can be found online and if you enjoy smoking can get really fun! 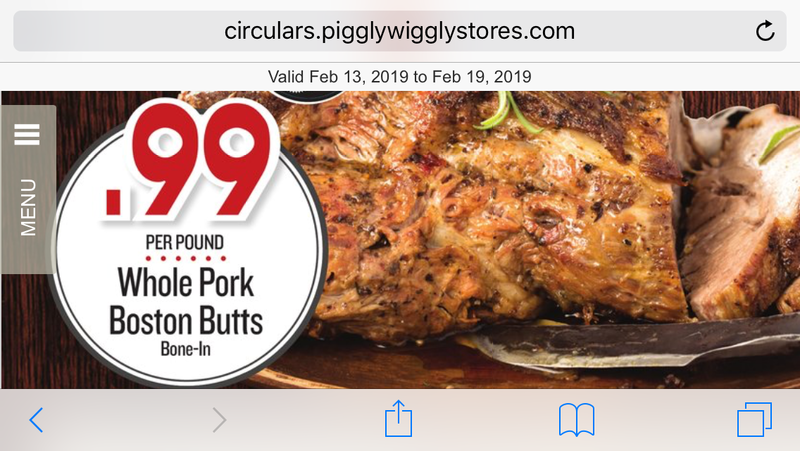 For fresh pork breakfast sausage- watch the Piggly Wiggly or Charlie C's for butts on sale, 99-cent is cheap. I.leave for work at 5am. Wife and I missed each other all day. Both forgot about V day. Didn't even wish each other happy V day. It was great. Such a Bush day.